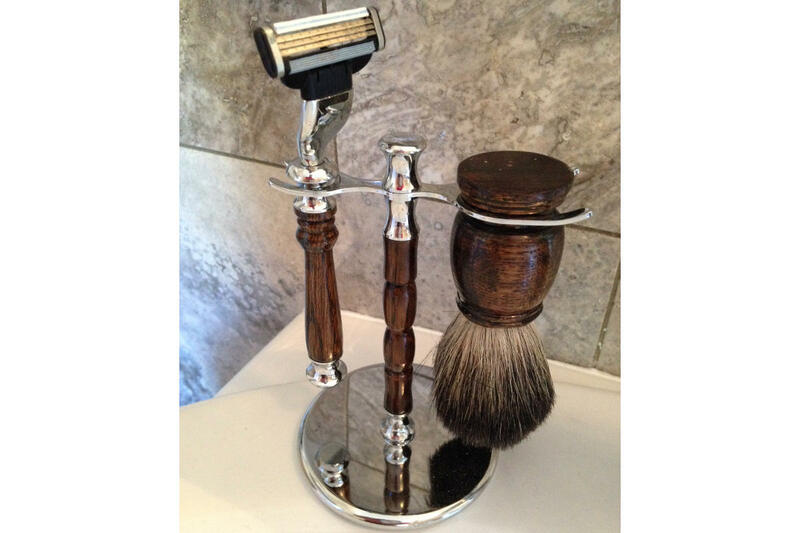 Hand turned oak forms the handles and stems in this beautiful shaving set. 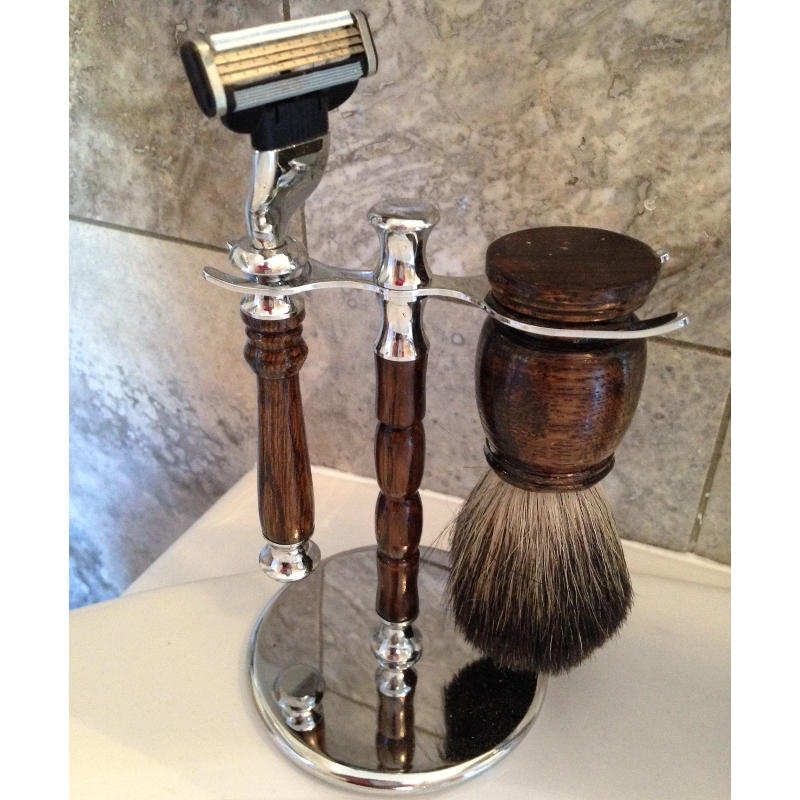 The lather brush is pure hair and the razor handle is compatible with disposable blades. Stainless steel fixtures complete the set.